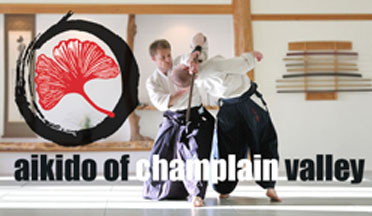 Benjamin Pincus Sensei founded Aikido of Champlain Valley (ACV) in 1997 as a non-profit organization dedicated to teaching traditional aikido for adults, teens and children. The mission of ACV is to grow a sustainable community and peaceable world through the practice of Aikido. ACV is in a traditional dojo (training hall — literally, “place of the way or path”). We emphasize the relationship between technical power, precision, and internal growth and transformation. ACV provides traditional martial arts with Vermont’s senior instructors.